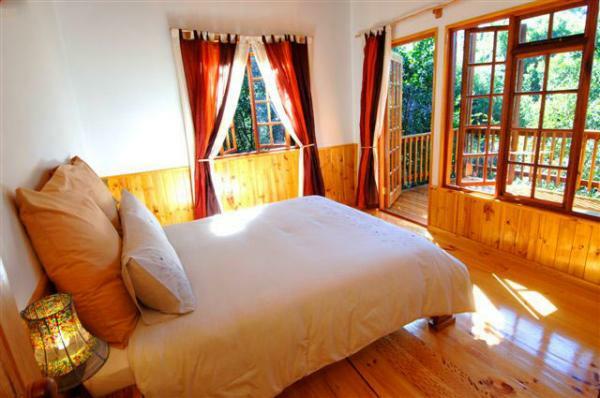 Between Plettenberg bay & Tsitsikamma, Moon Shine is truly in the heart of the Garden Route. A stone`s throw from Monkeyland, Birds of Eden, Jukani Wildlife Sanctuary, Elephant Sanctuary, Bramon Wines, gorgeous beaches and restaurants. Nestled in 14 hectares of unspoiled indigenous forest a small and enchanting venue has been created with love and attention to detail. Experience the forest from the comfort of one of the stunningly hand crafted wooden cabins among the trees. Or drink in the views from the wide veranda of the Garden Cottage. 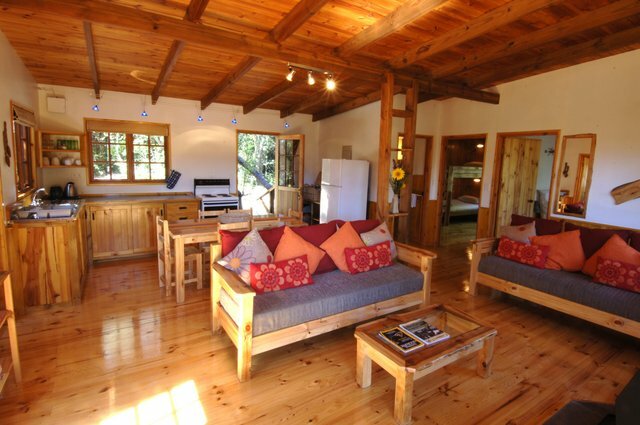 Some units have flatscreen TVs with select DSTV and the Garden Cottage has free Wi-Fi. All guests have access to free Wi-Fi at the beautifully situated Internet and Info Zone which is open from 07h00 to 21h00 daily. 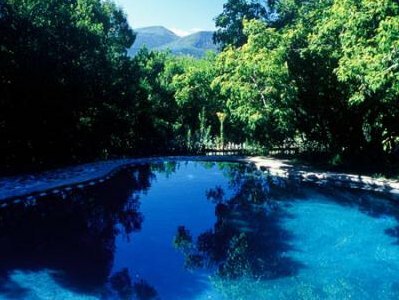 There`s a sparkling swimming pool for you to enjoy, a fabulous playground for the kids and a three quarter hour hike takes you to a beautiful natural mountain pool plus a magical place to swim and picnic. There are plenty of birds to be identified and you are almost assured of a Knysna Loerie (Turaco) sighting, Vervet Monkeys provide entertainment free of charge, and if you`re lucky there`s Bushpig and Bushbuck to be spotted. A myriad of attractions and activities await within a 10 minute radius of Moon Shine. * Access to free Wi-Fi at the beautifully situated Internet and Info Zone. Between us, we speak fluent English, Afrikaans and German. A great place for `free range` children and grown ups.